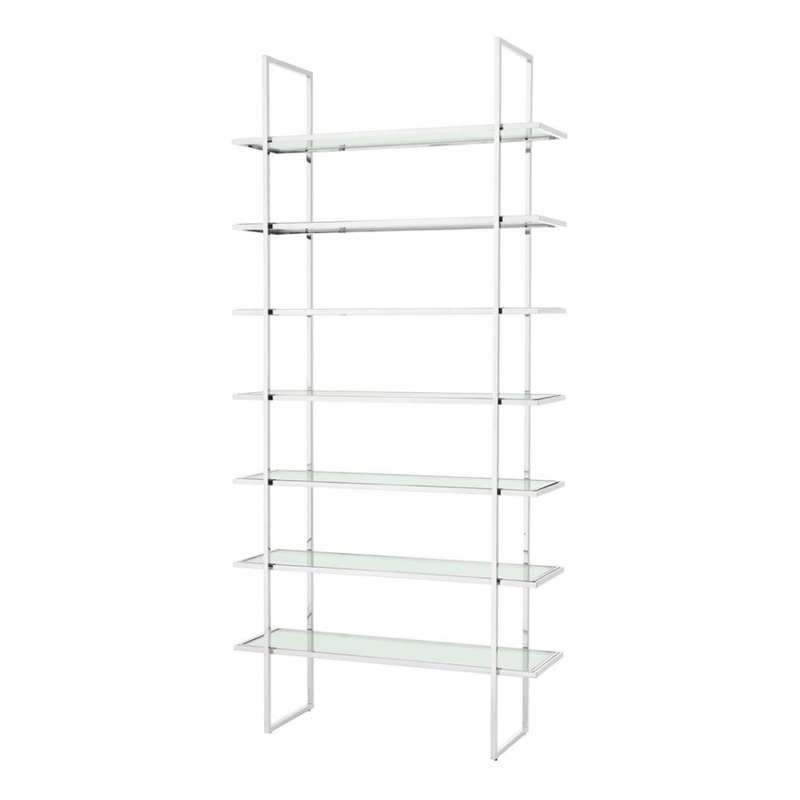 Available in polished stainless steel or gold options with clear glass shelving, the Chambray Single Cabinet by Eichholtz offers a versatile and sophisticated display solution. Beautiful linear symmetry and proportions make it a stylish addition to a range of traditional or contemporary interiors in the home, business or hotel. Style the Chambray Single Cabinet in the home office, hallway or study displaying your favourite sculptural ornaments and books or make practical use of the 360 degree shelving in a hotel foyer or boutique shop to showcase useful information, awards or items for sale. Dutch interior design house, Eichholtz pride themselves on their eclectic collection of beautiful furniture, lighting and accessories carefully selected from around the globe. Founder, Theo Eichholtz travelled the world from a young age developing a discerning eye for craftsmanship and style, and sources only the finest of the finest items to add to their luxury brand catalogue. Here at Uber, we have an extensive directory of Eichholtz luxury homewares to choose from. Why not contact our expert interior design team for further details and inspiration to help you find the perfect curated collection for your next home, yacht, bar or hotel design project?